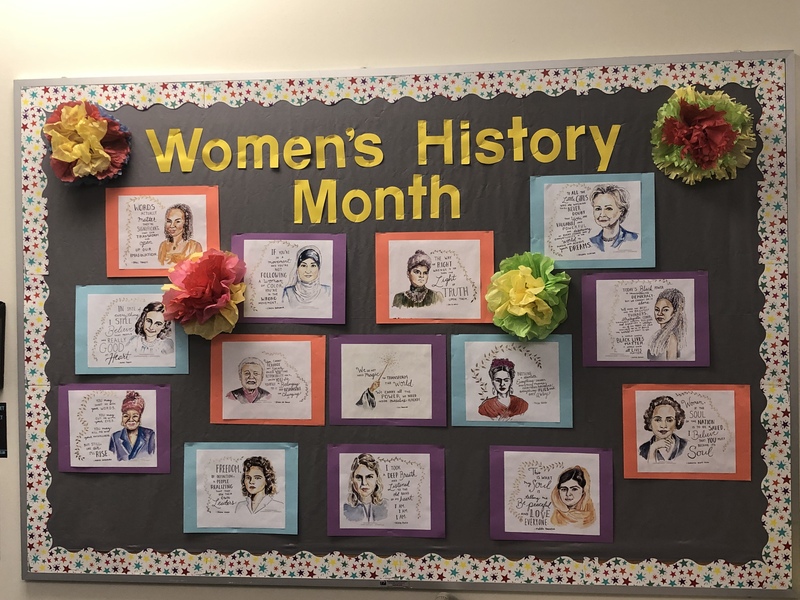 We’re celebrating Women’s History Month here at David Douglas. 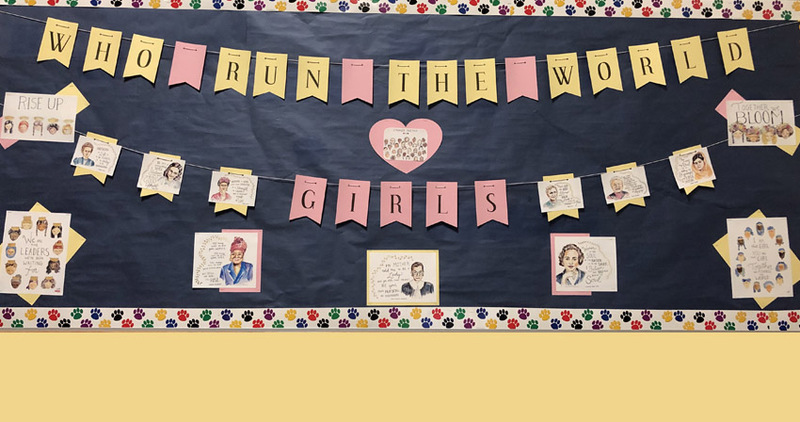 If you visit one of our schools this month you’ll likely glimpse a bulletin board, project or presentation honoring the occasion. 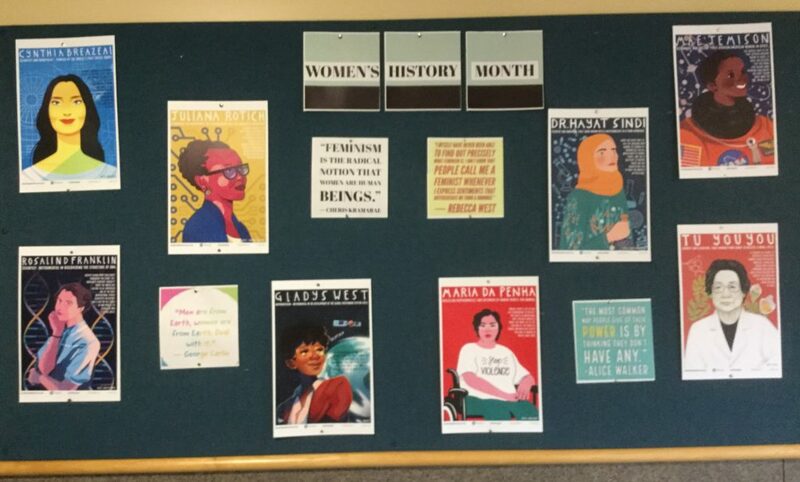 The School Board recognized Women History Month at the Mar. 14 School Board meeting. In addition to this proclamation being read at the meeting, board member Andrea Valderrama and DDHS student body president Aleena Thammavong spoke. Valderrama highlighted a few David Douglas statistics including graduation rates for female DDSD Students. These figures can be found in the proclamation linked above. Valderrama also expressed that it is exciting to see many women in leadership roles across the District at student, administrative and staff levels. 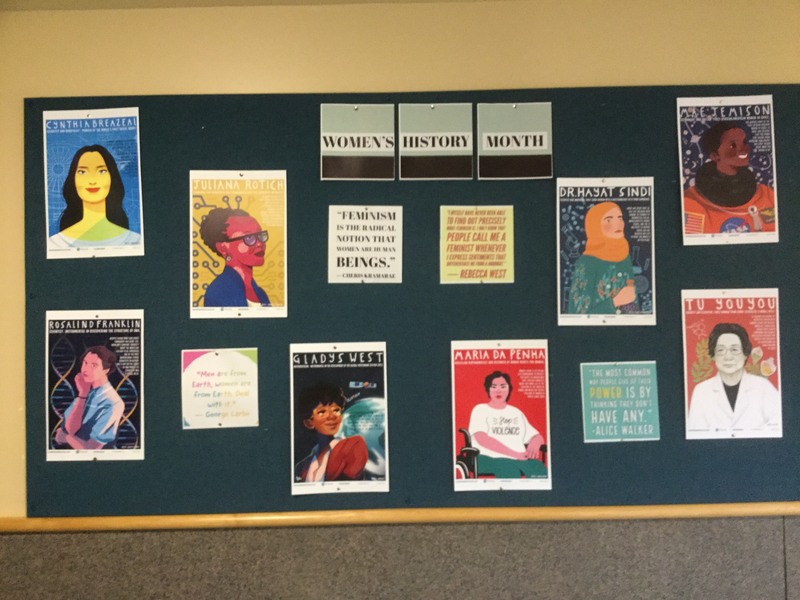 Thammavong spoke about why she thinks the Women History Month proclamation is important and the roles female students are filling at DDHS. She shared that last year all the junior class officers were women and this year the entire ASB (Associated Student Body) are women. 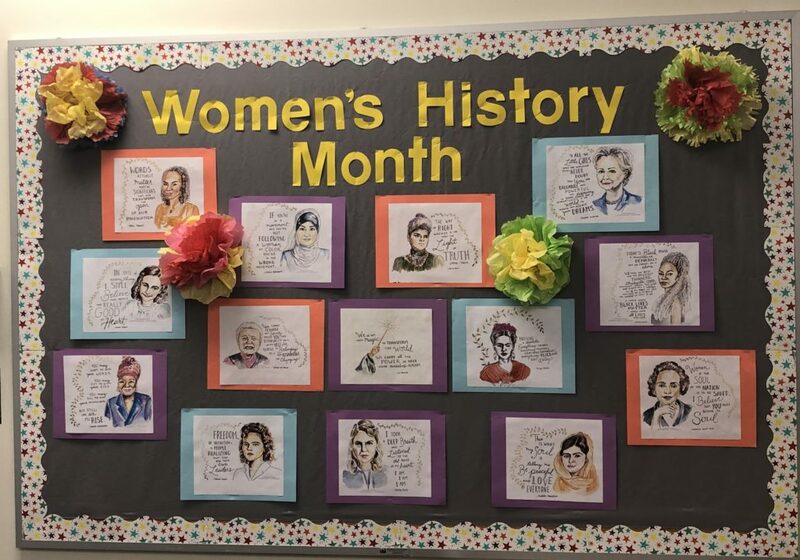 To hear more about how women are empowering women at DDHS, watch Thammavong’s full remarks recorded on the school board meeting video (The Women’s History Month recognition begins at the 55 minute mark).